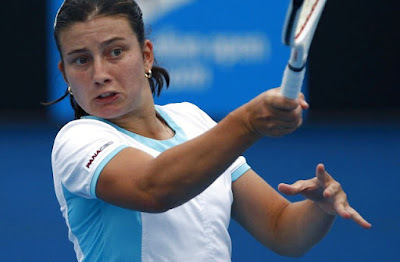 Sevastova while more at home on clay is a decent hard court player as her win/loss record of 94-54 throughout her career shows, over the last 12 months she is 9-9 on outdoor hard court. Lisicki on the other hand for a high profile player she is very one dimensional and has an atrocious hard court record of 138-111 and over the last 12 months she is 9 wins to 13 losses which considers the power she possesses shows just how poor her actual game is. Sevastova is in the better form in her last four tournaments she has reached the final twice albeit one on clay and the other on grass, Lisicki has not managed to get past round 16 since Kuala Lumpur in Feb of this year! 18 Month statistics on both players on outdoor hard courts shows both players almost identical, when you consider that Lisicki’s main weapon is her serve then you can see her stats are not impressive. It looks a very close match to me, Lisicki has the potential to blast anyone off court on her day but they are so few and far between that I am happy to take a chance on it not being her day today against a steady if unspectacular opponent. Both are one point win bets, I was looking at both Shvedova and Goerges to put with them in a multiple but both players are very unreliable and at Evens I am happy to swerve them.